"Four Stars ... Gene Harris was the constant ... the group's sound was soulful, always in the groove ... Harris had such chops and such a flair for bringing deep soul into the proceedings, such panache, such exuberant confidence in his artistry ... another fine discovery." "Four Stars ... jazz standards were chosen for this release ... what they all share in common is a heavy groove, catchy riffs and Gene Harris’ soulful piano. Listening to this group’s live recordings 50 years later is a real treat ... Resonance has done their usual classy archival quality job ..."
Groovin' Hard is a soulful collection of never-before-heard live recordings made over five years during four separate engagements by the legendary Three Sounds at Seattle's late, lamented jazz club the Penthouse. The album stands shoulder-to-shoulder with the best titles in the Three Sounds' illustrious and extensive catalogue. In its heyday, the group was one of the top-selling jazz acts in the world with a string of hits on Blue Note between 1958 and 1962; during that period, no other Blue Note act sold as many records. 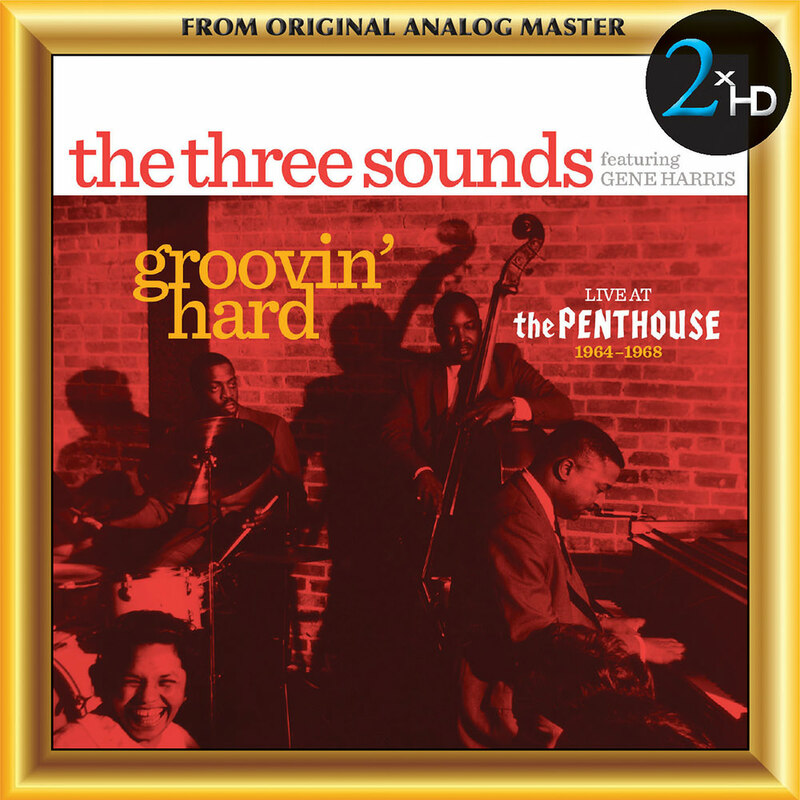 The handpicked material on Groovin' Hard consists of jazz standards, soul treatments of popular tunes of the day and three originals, with four of the tracks appearing on a Three Sounds' album for the very first time.